Exactly what I wanted, but was amazed how quickly it arrived. Exact match just by entering my model number. Quickly shipped and great price. EZ install and is perfect replacement. Ask us about the MTD 791182353 Fuel Line Assembly. Please no repair questions. Your Q&A may be posted to Jackssmallengines.com to help other shoppers, like you, with their purchasing decisions. Thank you. Will this fit a Toro tb465ss 4 cycle trimmer? 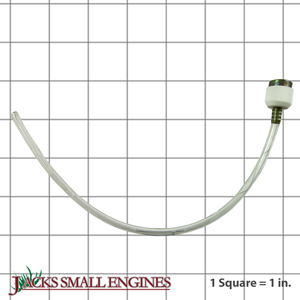 John, this fuel line assembly fits your model. This goes down inside the gas tank correct? Mine didn’t have it when I got it so I think this is what I need. Thanks in advance. Kam, yes 791182353 goes inside your fuel tank.